M. Nawaz Wahla is not supposed to be sitting where he is today, on the bench as a State of Connecticut Superior Court judge. Remarkably, he is not even supposed to be in this country. But fate sometimes has a great deal to do with how our lives – and callings – play out. And fate played an important role in Judge Wahla’s rise from a rural Pakistani village without water or electricity as a child, to the front lines in the Pakistan Army, shot and severely wounded in a border fight with ammunitions smugglers, to a seat on Connecticut’s Superior Court. Judge Wahla’s remarkable journey began on a simple farm in the Punjab province of Pakistan. His father was a diligent farmer, and he had to work hard to care for Nawaz, and his eight brothers and sisters. There was no electricity, no running water, and life became even more difficult when Nawaz’s mother died only a few years after he was born. Nawaz ended up being the only one to attend college. 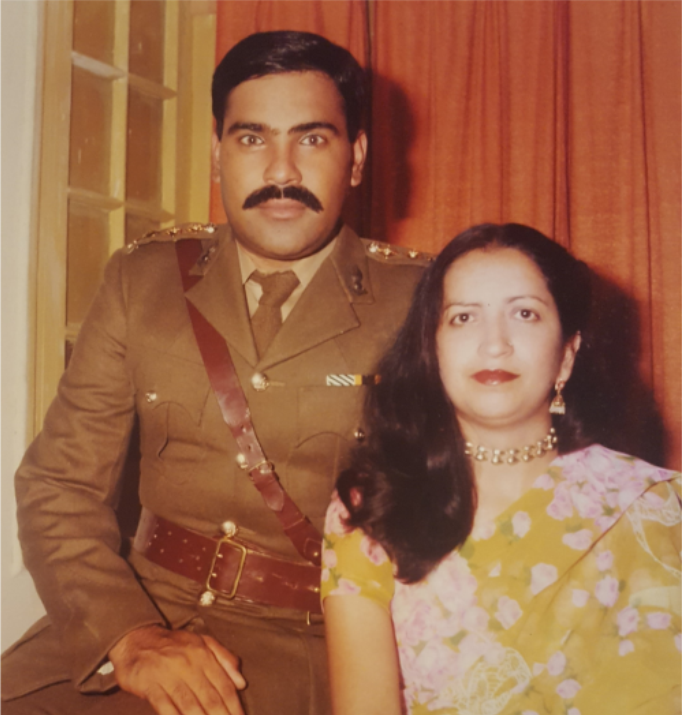 While he worked hard to achieve the highest academic levels possible, it was his selection in 1972 to become a cadet at the Pakistan Military Academy (PMA) that determined what he thought would be his lifelong career path. It was at the academy, equivalent to West Point and a training ground for officers in the Pakistan Army, where Nawaz embraced the notion of becoming a military officer for life. 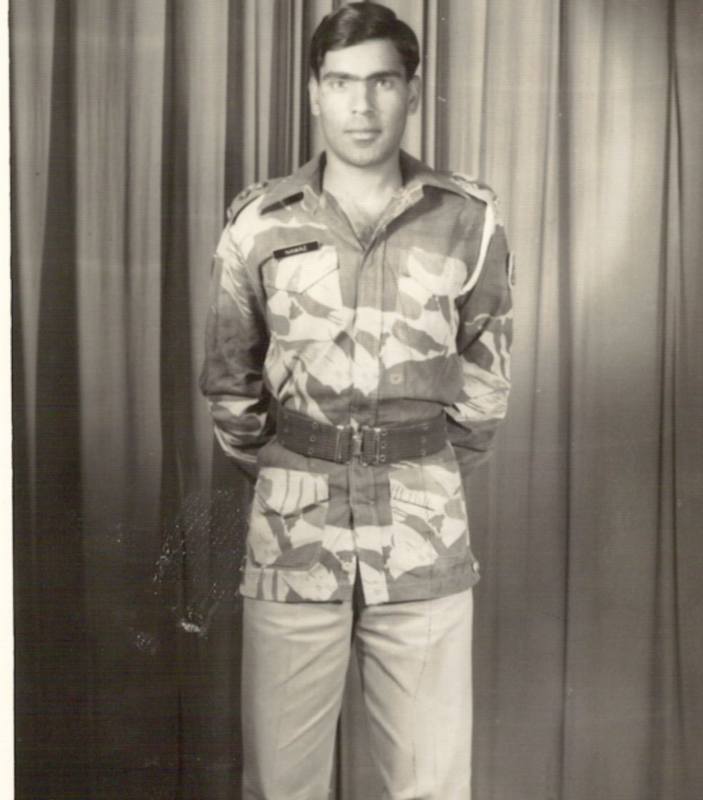 Nawaz graduated from the PMA, was commissioned as a second lieutenant in the artillery regiment and, while serving, enrolled in the University of Punjab Law College. By day, Nawaz would discharge his military duties, while his nights were filled with constitutional law, torts and contracts. Nawaz earned his law degree and went on to serve more than 17 years in the Pakistan Army. “I was chasing the dream to become a general, like every officer does,” he says. It was in 1986, posted on the border of Pakistan and Iran and commanding a platoon charged with stopping smugglers transporting Russian arms and ammunition into Pakistan, when Nawaz’s life changed. Nawaz, who earned the Pakistani equivalent to the Purple Heart for his valor, spent nine months in the hospital. Doctors wanted to amputate his arm, but Nawaz’s wife Imtiaz (Amy) was unavailable to provide consent. Nawaz and Amy embarked on what Nawaz calls their “global adventure,” relocating to the United States in 1990 along with their three young children, daughter Mehvish, son Sarosh and daughter Zulara, and enrolling at the University of Texas School of Law. He earned his Masters of Comparative Jurisprudence in 1991, and completed a prestigious internship at the International Court of Justice at The Hague Academy of International Law in The Netherlands in 1993. Following The Hague internship, Nawaz returned to Texas and completed his Masters of Law degree (LLM), an advanced certification with global credibility, in 1998 at the University of Houston Law Center. 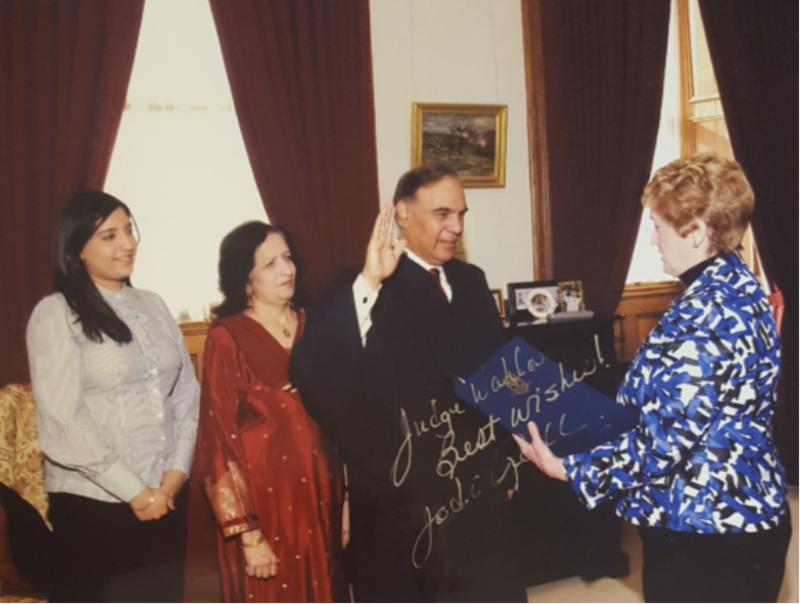 Upon his appointment by then Governor M. Jodi Rell in 2010 to become the first Muslim and Pakistani Superior Court judge in Connecticut history, Wahla testified before lawmakers during a confirmation hearing and shared with them his passion. “When I arrived in these United States 22 years ago with my wife and three small children it was foreign and new. Now, with the passage of time, I can confidently conclude that the fateful decision I made was indeed the correct one,” he testified. “My legal education and practical experience over the years has given me a vast wellspring of knowledge upon which I can rely. Judge Wahla and Amy have set fine examples for their children, all adults now pursuing remarkable careers of their own. Both daughter Mehvish and son Sarosh attended the same University of Texas at Austin that their father did and are now practicing attorneys themselves. Their youngest child, daughter Zulara, pursued a different path, attending medical school at Fatima Jinnah Medical College in Pakistan and Cornell University. She is now a second-year resident at the University of Connecticut Health Center. Even at this lofty point in his remarkable career, Judge Wahla is not yet done learning. This past July, he completed the rigorous Global Master of Arts Program at Tufts University’s Fletcher School of Law and Diplomacy, a unique and exclusive program of intense study in global diplomacy. The Judge is contemplating what might be the next chapter and challenge in his life – might it be a diplomatic assignment with the Department of State? Only time – and fate – will tell.